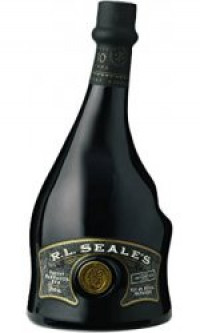 This inviting R L Seale rum first strikes you with its burnished gold colour and enchants you with a unique, nutty nose. The body is big but wonderfully smooth and well rounded. the delicious butternut taste has a light vanilla accent that comes from the oak and finishes with lingering hints of roasted almonds. R L Seale's selected to bring you the best sipping rum made in the style of the Eastern Carribean. The first quality recorder rum was produced in Barbados, probably during the 1620's and today the first choice of the island inhbitants, known as Bajans, are the rums produced by R L Seale. The distillery is located in the south of the island, where the warm breezes of the Carribean gently lap at the oak barrels used for aging - and does much the same for the delectable contents as the ocean breezes add to the taste of a good Islay single malt. The finest rum Seale produces - an exquisitely smooth 10 year old has been selected to bring you the best sip made in the Eastern Carribean style of rum.